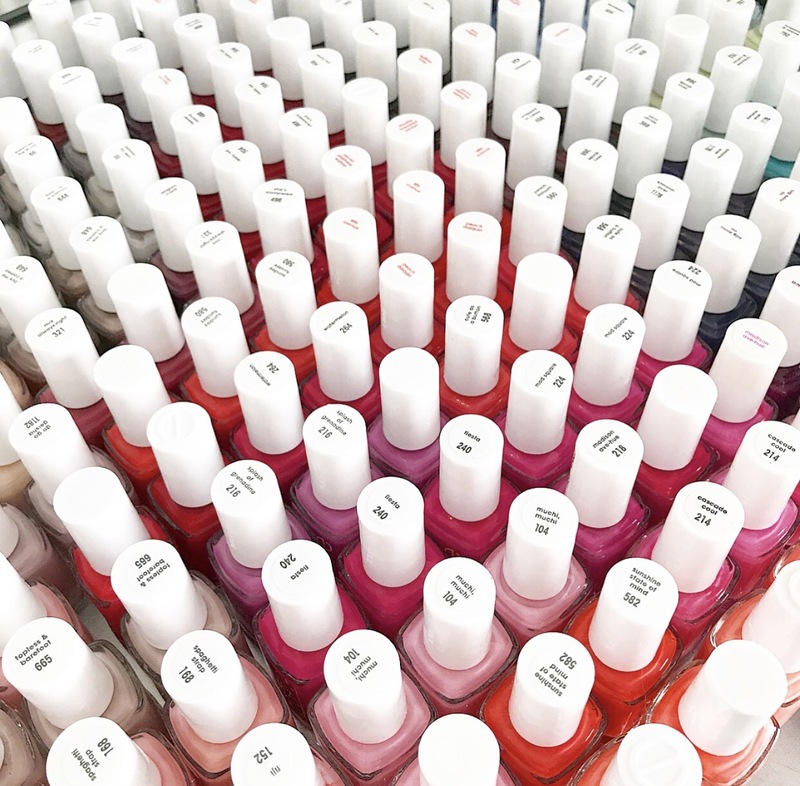 Back in February essie released a new line of nail care products called the TLC Collection, this stands for Treat Love & Color. They started this line with three sheer polishes that were made to not only care for your nails but to also have color so you weren’t just wearing a clear coat of polish. It was an ingenious idea really, I mean who wants plain nails anyways? Not only were these polishes gorgeous but they also helped my nails tremendously in the care department! I had problems with chipping and breakage especially on my pointer finger and using these polishes helped me to stop those issues. This is why I was ecstatic when I learned that essie was expanding the line and adding four new creme polishes! I recently received these polishes in the mail from essie and wanted to share them with you all. These are great for those of you who are also having problems with chipping and peeling and are looking for an easy and pretty way to help solve these problems! From left to right: ‘In A Blush’, ‘Pinked To Perfection’, ‘Good Lighting’, and ‘On The Mauve’. I decided to make a post about how I make my essie polish last on and off the nail. There are some simple and easy ways to pro long the life of your polish bottles and the life of your manicure and I have gone into detail about how I personally do this below! For those of you who follow me on my blogging journey you know that I am an avid essie collector and lover, however you may not know why or how this started. Today I am going to dive into my background with essie and why I only wear this brand. 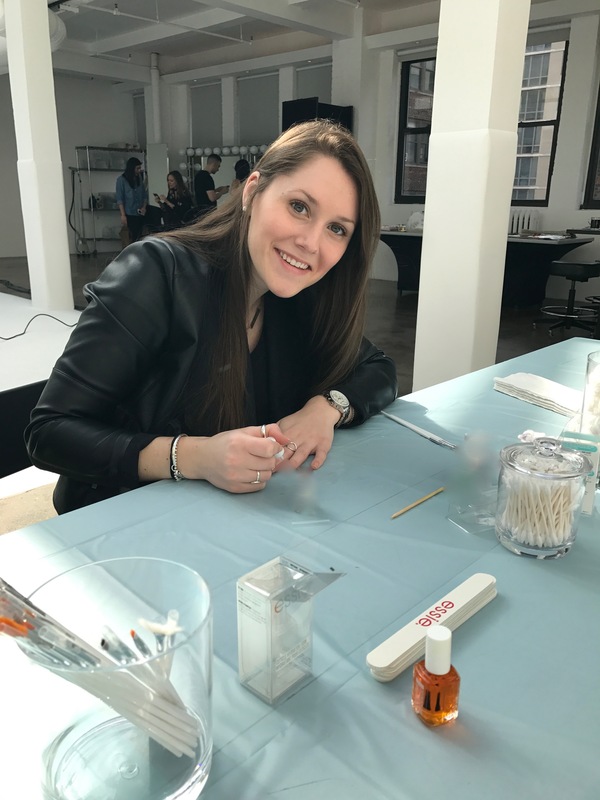 essie recently released their fourth installment to the Gel Couture Line in order to celebrate their first anniversary. They first came out with this line in July of 2016 and then added to it in January when they released their Gel Couture Ballet Nudes Collection, adding again in the Spring when they added a limited addition bridal collection by Monique Lhuillier. The newest part of the line, the Gala Bolds Collection, consists of twelve new polishes that help the everyday consumer get the VIP look! These polishes also come with a platinum grade finish top coat that was designed to have a high shine formula that helps to protect the nail from chipping and keeps your polish intact for up to 14 days! I recently took some time to swatch the entire collection and to dig up some comparisons and I think you will all be interested to see what I found out! I decided to take a minute to sit down and write the top ten methods that I used in order to grow my Instagram page organically. I have had a lot of you reach out to me over the years to ask me how I grew my page into what it is today and I thought that giving you some insight on my journey might be helpful to any of you who are thinking of starting your own. When I first started ‘essiebuff’ I was unsure that this platform would turn into anything, let alone what it is today. However, I stopped doubting myself and have met so many amazing people along the way and have created a space that I am truly proud of. Below are some methods that I have personally used on my page, these methods may not be fool proof and may not work for everyone but for me they have made all the difference.